There are a number of fun spots in Colorado to have a memorable kid’s birthday party. From indoor attractions like arcade games, laser tag, and trampolines to outdoor fun like go-carts and water slides, the fun never ends at these great party spots. 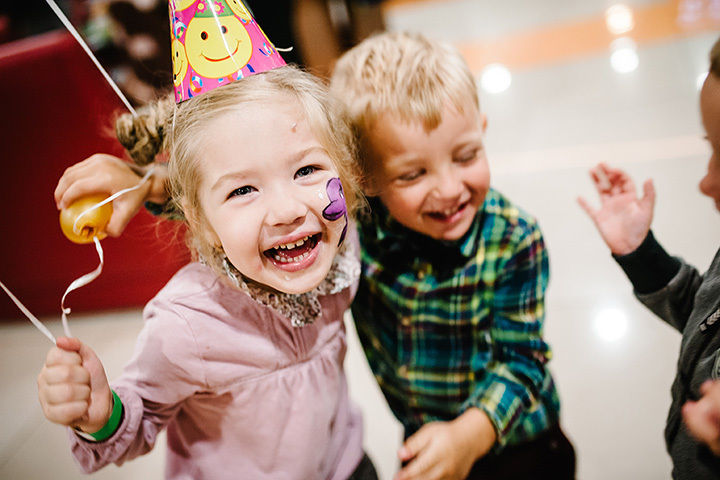 Have a party your child will never forget at these 10 best places for a kid’s birthday party in Colorado. Kids can monkey around at Monkey Bizness. This indoor playground is perfect for a birthday party because it offers a variety of entertainment options for kids like bouncy houses, jungle gyms and climbing walls. Younger kids even have a place to play, and parents can escape to the cafe for coffee drinks. Monkey Bizness offers a few birthday party packages to cater to your budget and to the party style your child wants. Find locations in Westminster, Centennial, Parker, and Colorado Springs. Thousands of birthday parties are hosted at Lollipop Park every single year because this place is truly a fun experience for kids. The park has rides like a carousel, Ferris wheel, train, swing ride and teacup ride. There is also a bouncy house and fun mirrors. Hosting a birthday party here is easy because there is no confusing packages and walk-ins are always welcome. Two birthday party packages are offered at Denver Puppet Theater. Enjoy a creative puppet show that is sure to keep audiences of both children and adults entertained. Denver Puppet Theater has over 100 different puppets, making this a unique experience. No matter what party package you choose, party attendees can decorate their own puppet to take home as a souvenir. There are both indoor and outdoor activities for kids to enjoy at Boondocks Fun Center. There are two party options here that cater to both kids and teens. With so many attractions, this is a great option to ensure that your guests will have a fun time. Enjoy outdoor activities like bumper boats, mini golf and go-karts. Indoor activities vary from laser tag to bowling to the arcade. This unique indoor flying experience is a birthday party that your birthday boy or girl and guests will never forget. Flying at iFly Indoor Skydiving is recommended for ages three and up. This indoor skydiving experience is safe and fun. For those looking to host a birthday party here, there is catering options and event space to create the perfect party. Bananas Fun Park has a number of fun activities including a water park called Coconut Cove. This spot is such a fun place to have a birthday party because of the numerous attractions. Play mini golf or ride the go-karts, or enjoy laser tag or the arcade. No matter what age, you get a free wristband on your birthday. As the newest addition to Bananas Fun Park, Coconut Cove water park features splash pads and water slides, making it a great party place for a summer birthday party. Springs Trampoline Park is not only a fun way to get some exercise but also a great place to have a birthday party. There are over 40 trampolines, along with an American Ninja Warrior course and an inflatable obstacle course. This 32,000-square-foot facility is one of the top places to have an indoor kid’s birthday party in Colorado Springs. There are a couple birthday party packages that come with a party host so that parents can relax and enjoy the experience too. Loveland Laser Tag, known as LLT, is northern Colorado’s largest laser tag establishment. There are three levels of laser tag fun. However, Loveland Laser Tag doesn’t only have laser tag. There is a rope course, climbing wall, arcade, bumper cars and a 4D theater, as well. There are several birthday party packages that are customizable so you and the birthday boy or girl will enjoy the special day. For the craft-obsessed birthday kid, head to Color Me Mine for a painting party. With a number of locations in Colorado, you’re sure to find a Color Me Mine location near you. Up to 14 birthday party guests can paint a pottery piece. The party package here includes invites and thank you cards along with set up, clean up, and a glazed finish for all painted pottery. For a stress-free party yet a fun party for kids, Dizzy Family Fun Center is the place to go. Every party package comes with a party host that handles the logistics. The great thing about Dizzy Family Fun Center’s parties is that there is no time limit in the play area, only a time limit in the party area for pizza and cake. There is laser tag, a laser maze, arcade, obstacle course, a playground for smaller children and outdoor water slides.